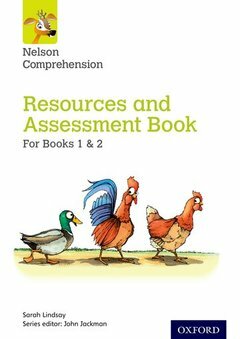 Nelson Comprehension provides a simple and effective course for the teaching of key comprehension skills. Units cover all genres of texts - including fiction, poetry, playscripts, instructions and biography - with plenty of practice, repetition and assessment built in. Differentiated questions and resource sheets as well as assessment materials help ensure that all children are on track. This Resources and Assessment Book provides two photocopiable resource sheets at different ability levels for every text in Pupil Books 1 and 2 (80 resource sheets in total), as well as photocopiable practice reading tests for Year 2, to enable your children to prepare for the national curriculum tests.